As part of our continued exploration of Berlin’s hidden spaces and narratives, today the FemGeniuses toured the Friedrichshain-Kreuzberg (FHXB) Museum. Before entering the courtyard leading to the museum, you’ll find yourself on Adalbertsraße, a bustling street nestled in the Kreuzberg district. Crowded with a diverse array of restaurants, shops, and businesses, it is easy to see that Kreuzberg is full of life and has an eventful history. Once outside of the FHXB Museum, our guide, Stephanie Kuhn, met us to begin the tour. While I was aware of the district’s status as the multicultural hub of Berlin, Stephanie pointed out that Kreuzberg developed into this multicultural hub only after an extensive sequence of urban development, gentrification, and political subcultural movements. Kreuzeberg’s transformation began in 1945, after World War II destroyed much of the district. Air strikes left an estimated 42% of the district’s political and industrial buildings destroyed. Most of the area had to be completely rebuilt, but some housing complexes remained. However, once the district’s reconstruction began in the mid-1950s, the government sought to tear down the outdated, densely-packed infrastructure and replace it with a modern development. In 1961, construction of the Berlin Wall began, closing off Kreuzberg from West Berlin. Within days, more than 60,000 workers living east of the wall were cut off from their work in the west. To end the labor shortage, workers from southern and southeastern Europe were recruited to Berlin. One such immigrant, Junge Menschen, was highlighted in the museum. 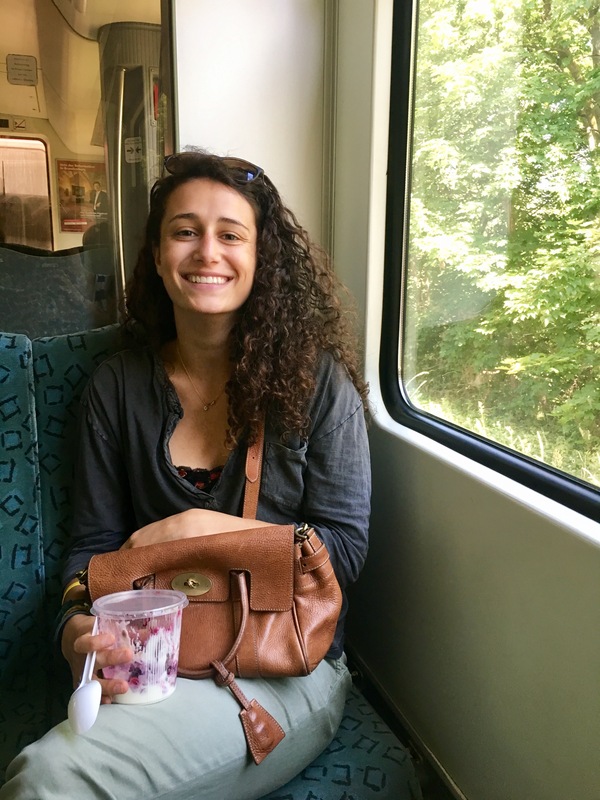 Like many other guest workers, Junge hoped to earn higher wages than she would at home in Turkey and save money before returning to her country. In response to the influx of migrant workers, the government built temporary housing facilities for guest workers like Junge. During this time, it was common for well-educated, secular Turks to make this trip with the intention of only staying a year, thus the temporary housing was suitable. But once guest workers chose to extend their stay in Berlin, permanent housing became problematic. In 1963, the Berlin government approved an extensive plan for urban renewal and development. They intended to demolish 90% of the structures built around the turn of the 20th century. The city began buying houses from owners and in turn, Kreuzberg’s people moved away. Surrounded on three sides by the Berlin Wall, many were eager to sell as the value of their homes decreased. As a temporary fix to the housing crisis, the government permitted guest workers to live in these homes until they were torn down. However, as more housing complexes were destroyed, developers began to force guest workers out of their homes. Eventually, the development of excessive commercial housing led to the Renters’ Rights Movement in the 1970s with the hopes of putting an end to investor interest. Distrust and anger with the governance of the city led to the development of the Squatting Movement in 1979. In response to the poor conditions of homes and the high number of empty properties, citizens occupied abandoned apartment buildings. They believed that the people who lived in the city should be the ones that owned it, not the investors who financed the buildings. As a result of persistent protesting, a law safeguarding residents’ interests was enacted in Berlin. When the wall came down in 1989, Kreuzberg became the center of Berlin once again. With a newfound ability to travel, many Kreuzberg residents left for the neighboring district of Friedrichshain. But in an effort to continue their fight for affordable and livable housing, protestors from the Squatter Movement again took up their demonstrations, this time in Friedrichshain. Unfortunately, this micro-migration produced detrimental effects on Kreuzberg’s economy. In response, an administrative reform in 2001 merged the districts of Kreuzberg and Friedrichshain. Since then however, gentrification has stripped the district of nearly all available and affordable housing. As Wolfgang Kil and Hilary Silver describe in their historical description of Kreuzberg in “From Kreuzberg to Marzahn: New Migrant Communities in Berlin,” “The neighborhood remains a zone of concentrated ethnic poverty” (100). Rent is nearly twice as high as it was in 2007, and the 1 million tourists who visit the district annually rent out the few available apartments. By using trendy websites like AirBNB, owners can easily rent their home out for days at a time. Consequently, the 40,000 Syrian refugees welcomed to Berlin in 2015 were forced to live in airports and gymnasiums without access to a permanent or even temporary home. To this day, the housing market in Berlin has been nearly impossible to navigate. 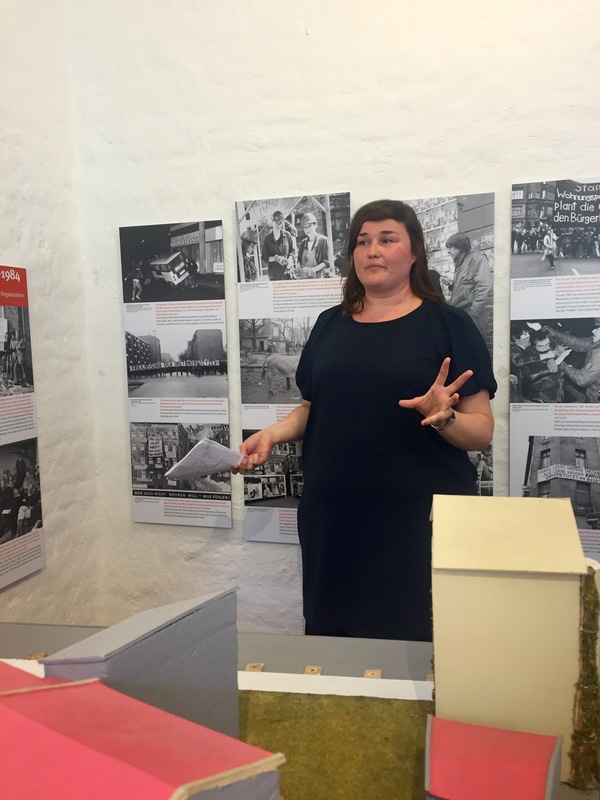 While the FHXB Museum tells the determined and resilient history of Kreuzberg- Friedrichshain, most incredible to me was the way they told their story. 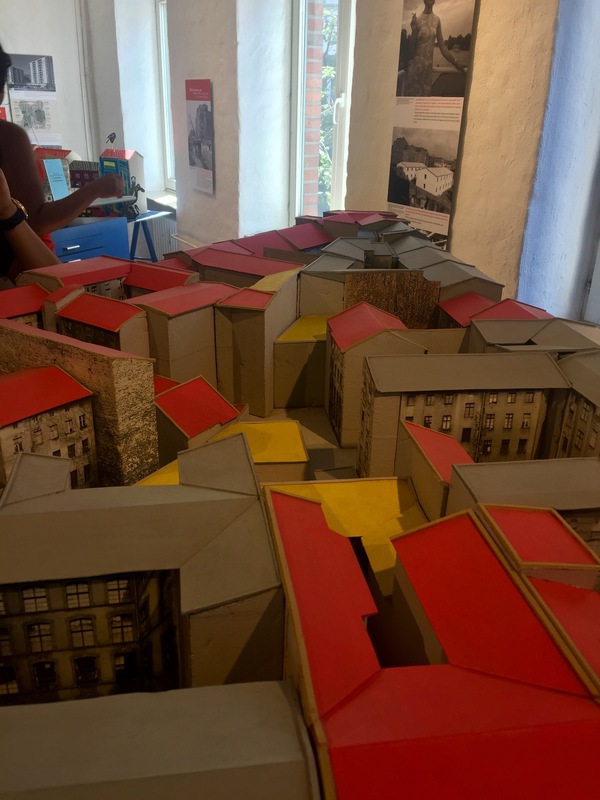 When you first enter the museum, a three-dimensional map illustrates what the district of Kreuzberg looked like in the 1981. However instead of relying on a group of historians to produce the map, the museum invited local residents to create the exhibition with them. This is one the first exhibits of its kind, unlike any other in Germany because of its collective participation. It forced me to question the difference collaboration might bring about as we look to remember our past. It seems disturbingly common that the history of a group of people is often told by everyone but the people themselves. As Michael Stewart notes in “Remembering without Commemoration: The Mnemonics and Politics of Holocaust Memories among European Roma,” when historians and other academics write about a people’s past, it “entirely bypasses the relationship of the victims to their own history” (561). I feel this project represents the power and unity of a collaborative community. The museum provides a safe space for the neighborhood to remember and commemorate the district’s past on its own terms. 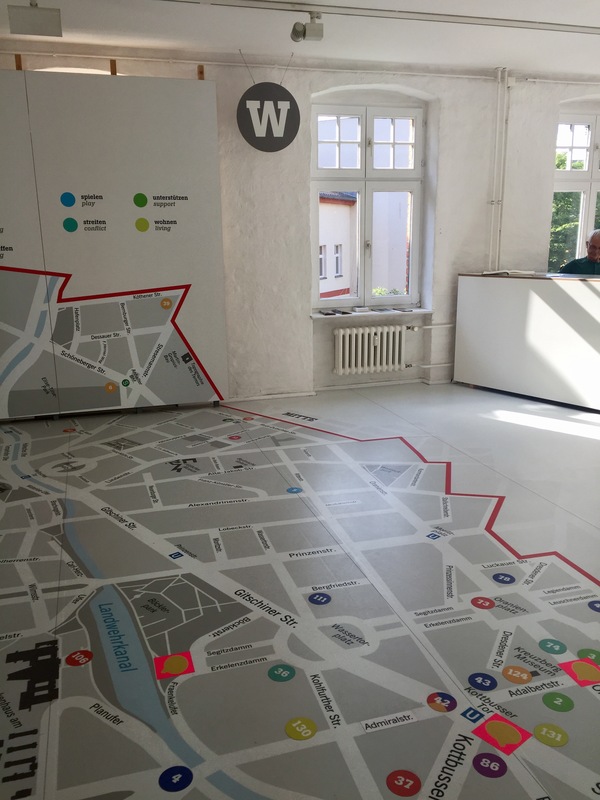 Additionally, in conjunction with the neighborhood, the FHXB Museum has also created an interactive map of East Berlin. Over the course of four years, the museum collected hundreds of stories about specific places in Kreuzberg-Friedrichshain. You can actively walk on the map and listen to these stories told by the people themselves. By participating in the exhibit, the community demonstrates its support and emotional investment in the district’s history. It was exciting for me to experience this exhibit knowing of all the people who came together in order to create it. The map’s construction tells the history of a community just how the community wants it to be told. In Berlin, it is so common to see Germany deciding how to remember and commemorate the long histories of other people. For example, sites honoring murdered Jews in the Holocaust are often built without consulting the Jewish community first. As Sabine Offe describes in “Sites of Remembrance? Jewish Museums in Contemporary Germany,” Jewish museums have “been established for a largely non-Jewish public, mostly lacking in knowledge and experience of Jewish history, culture, and religion” (78). However, much unlike this example, it was refreshing to see the Kreuzberg-Friedrichshain district representing itself. The FHXB Museum has been a staple location for our class on this trip. Thus far, it has served as the site of our “Rethinking Masculinities” panel, the building for temporary classroom abroad, and the location of our tour today. After learning more about the museum’s purpose in the community, it seemed fitting to me that we had taken advantage of the space for our academic learning purposes. Just as we have spent time in this building to uncover the truth about Berlin’s past, the local community has done the same. The museum actively collaborates with activists in the Friedrichshain-Kreuzberg district by offering support for their cause and by providing a space for these organizations to meet. Even the simple offering of a room to hold speeches, discussions, and exhibitions can be instrumental to a nonprofit’s success. It felt empowering to be in a place that actively enables the community to take action and strive to create change. Our tour ended with an open conversation about current gentrification in the United States and Germany. During our discussion, it became evident why this museum was a relevant experience for us. The stories told by each exhibit showed the capacity and effectiveness of continued dedication to a cause. Unlike Germany, political movements such as the Renters’ Rights Movement focusing on housing and gentrification are not happening as broadly in the United States. In some cases, it can feel as if capitalism is more powerful than demonstrations. There are hardly any known squatters actively protesting this capitalistic initiative. However, the people of Kreuzberg-Friedrichshain have shown that the housing market is not invincible. We should look to this community as an example of ways to initiate change at home. Although their fight lasted many years and still continues to this day, we should not be scared of its difficulty, but instead be inspired by it.